On a trip back from San Diego recently I stopped in a Mexican joint called El Campeon in San Juan Capistrano. It is a grocery store, bakery and restaurant. It looks like a hole in the wall (and it is) but stop in and order some food. It is as authentic as it gets. 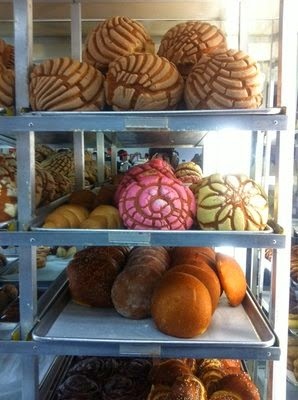 I got some tacos and then hit up the bakery and got some sweets. I think tacos really define whether a place is good or not. The baked goods are unbelievable. The carne asada was well marinated. I also got al pastor but wasn't a big fan, and it also was quite greasy. But the other street tacos were delish. If you are in the neighborhood stop in! I mean for about a buck a taco it can't be that bad right? 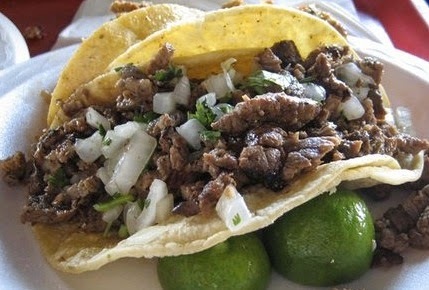 4/5 for authentic tacos - but it isn't your typical OC joint, its an adventure. Labels: Best Mexican Food, Best of Series, Day Trip, What's for Dinner?